We all have that one friend who’s so crazy about football that their wardrobe is full of fading kits with obscure names, and their conversation riddled with football puns and claims of offside. Just imagine one if you have none. Now, imagine that friend being shoved inside a $5,200 smartwatch made by Tag Heuer’s sister company Hublot. Among many other things the Big Bang Referee 2018 FIFA World Cup Russia can do for you, the most exciting – perhaps, also the most annoying – is that it will buzz your wrist every time a goal is scored during the FIFA World Cup this year. Another somewhat unnecessary-yet-compelling feature is that it will show an accurate countdown to the World Cup which kicks off this June. 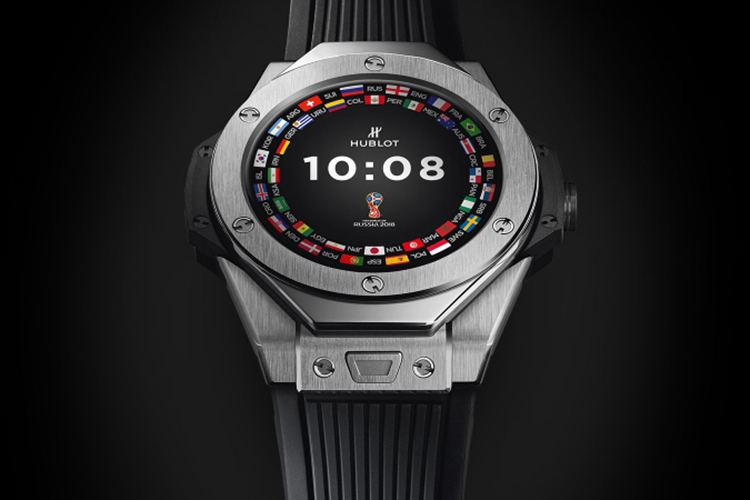 By now, you know this smartwatch is all about football (we would call it soccer but USA didn’t qualify) and if it isn’t obvious Big Bang Referee 2018 FIFA World Cup Russia will show all notifications related to matches. But you must be wondering about the mouthful of a name. It’s named so because it will be worn by referees at FIFA World Cup matches to keep a track of balls crossing the goal-line. This will work in sync with Fifa’s goal-line technology. Currently, referees use a regular smartwatch to get alerts. The limited edition smartwatch (only 2,018 wrists will be “lucky” enough to wear this) will run on Wear OS – that’s what Google recent renamed Android Wear to – and is powered by an Intel Atom processor. The top face is made up of a 35.4mm 400×400 round AMOLED display that will show you “GOAL” every time a goalkeeper fails at stopping the ball from crossing the goal-line. On the inside is a 410mAh battery that should suffice for nearly a day’s usage. The Big Bang Referee 2018 FIFA World Cup Russia will also pack in Wi-Fi and Bluetooth 4.1 for fans to pair it with their phones. 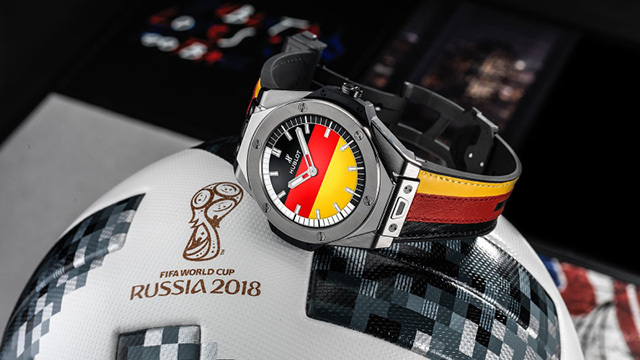 So if you have fancy luxury watches and have been looking for something more exclusive and special to flaunt, especially if football is among the chief reasons for your existence, the Big Bang Referee 2018 FIFA World Cup Russia will be an excellent companion for you until the next World Cup.